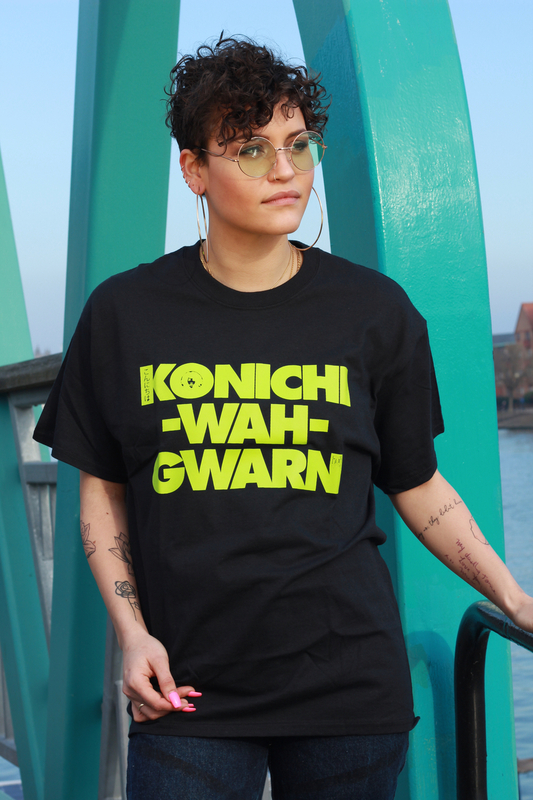 Konichi-Wah-Gwarn tee! This t-shirt is by the amazing Bristol grown talent that is Eva Lazarus. Big voice, big bass and big hair is what Singer/MC Eva Lazarus is all about! 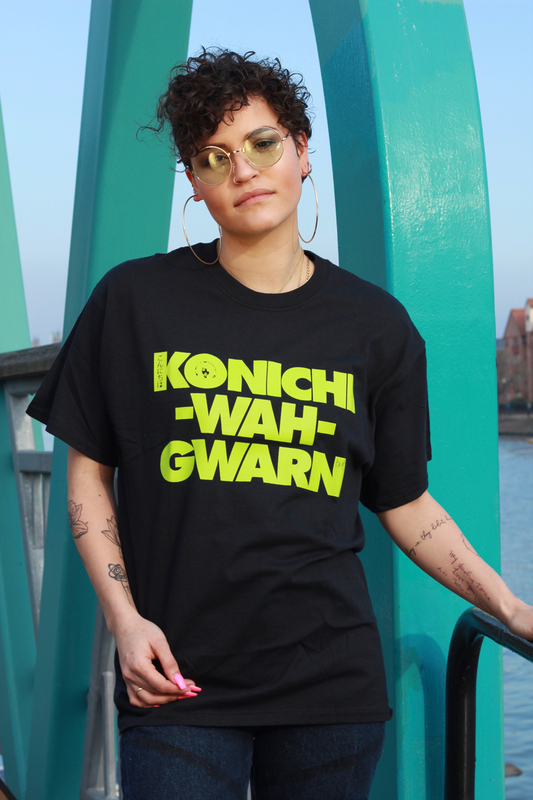 Her musical flavours span across genres from Reggae to Hip Hop, DnB to Jungle and beyond! 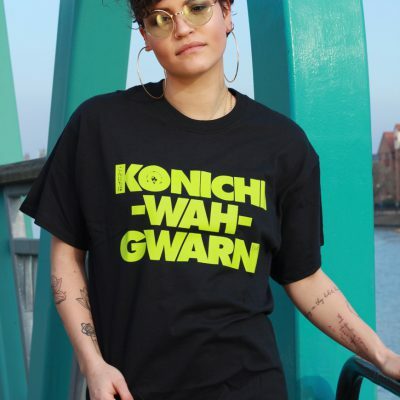 With an EP on the way, a collaborative release Mungos Hifi ‘Amsterdam’ and upcoming releases with Sam Binga, Gentlemens Dub Club and Zed Bias, she’s definitely one to watch. This t-shirt is a black cotton tee with a gold glitter or lime green holographic print over the chest. It is unisex. SKU: N/A. Categories: Clothing, T-Shirts, Womens. Tags: black, bristol, clothing, concert, eva, festival, gig, glitter, gold, gwarm, handmade, konichi, lazarus, lime green, mc, mens, print, signer, stokes croft, stokes croft fashion, tee, That Thing, tshirt, uk, unisex, wah, womens.